In this letter, W.H. 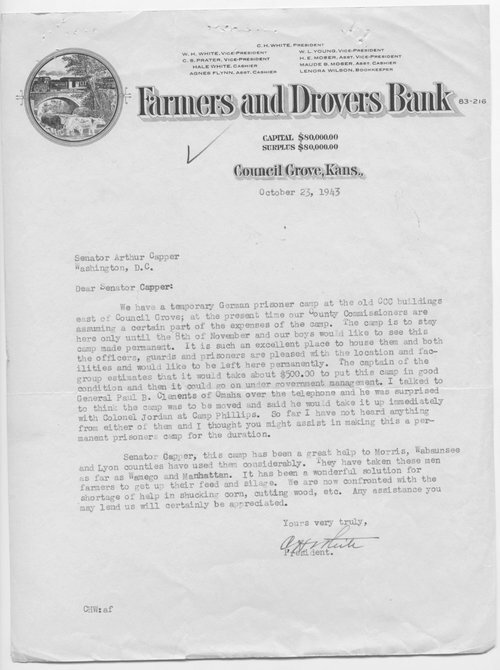 White, Vice-President of the Farmers and Drovers Bank in Council Grove, Kansas, requests that the temporary camp for German POWs in Council Grove be turned into a permanent camp. White argues that the German POWs have "been a wonderful solution for farmers to get up their feed and silage."